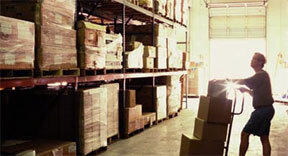 How Much is Your Warehouse Rent - Really? Industrial rental rates can be deceiving and difficult for the layperson to understand. It is because of this that we must be sure to get clarification on how landlords quote rent. This quote will only include the Base Rent per square foot per year. If quoted this way, we must determine what additional expenses are related to Taxes, Insurance and CAM per square foot per year so that we can compare apples to apples between different options. These costs can account for up to 30% of your occupancy expense. There are some other derivatives for quoting rent, but these are the two most common. As you can see, it is critical to understand how rental rates are quoted, and to make sure that we are not missing any material components necessary for determining the best facility for your company.